October is an exciting month for any YA lit fan, because it includes Teen Read Week! In honor of this annual celebration of young adult literature, YALSA invited book-loving teens all over the world to apply to share their enthusiasm for reading in a guest post for The Hub. Thirty-one talented young writers were chosen, and we’ll be featuring posts from these unique voices all month long. Today’s post is by Thien-Kim Hoang from California. Given, this isn’t a particularly uncommon sentiment. But if you think about it, isn’t it a little bit ironic, since that’s the exact opposite of what school is supposed to doâ€”which is to fuel your enjoyment of reading? So that you may learn to Appreciate Literature and become a Productive Member of Society?! I’ve always wondered how assigned books affect us. Often, we curse them for wasting our time, yet reread them years later. In an article for The Big Read, BBC estimates that out of 100 significant and beloved novels, most people have read approximately six. That number would probably be much lower if schools didn’t assign classics, but whether or not we liked and remembered these books is a whole different topic. While the idea of being told to do something is not very appealing, if there’s reading involved, it can still result in happy consequences. 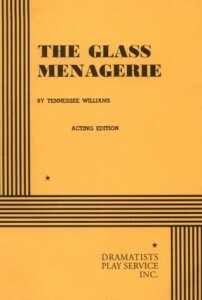 If I hadn’t been forced to read The Glass Menagerie, I wouldn’t have known that I liked plays, particularly Tennessee Williams plays. Sometimes I’m glad that it was assigned, because there’s no way I would have picked up something that boring-looking in my free time. If I hadn’t, though, I probably wouldn’t have read A Streetcar Named Desire, which has become one of my favorite stories from any kind of fiction. It’s likely that many of us wouldn’t have found our most beloved tales if we hadn’t been forced to read them first. School-assigned books are often a favorite to complain about (has anyone actually picked up a copy of Les MisÃ©rables with one hand? ), but they also sometimes turn out to be newfound treasures that we carry throughout our lives. Inevitably, though, we will still have to tread through books we hate, but at least it sharpens our lifelong reading skills so that we can go through the dystopian romance novels a little faster. Whether you want to read Pretty Little Liars or War and Peace, you’ll still be doing the same thing: enjoying stories, regardless of whether they were found in a classroom or because of a TV show. Even if you fervently prefer one over the other, it’s almost impossible to deny that assigned books and read-for-fun books often share a lot of the same universal appeal. You can find a great love story anywhere, whether you spend your summer vacation with Heathcliff and Cathy, or Hazel and Gus. So if you want to enjoy your assigned reading a little more, don’t think of it as homeworkâ€”think of it as an excuse to get your hands on another book! And what better way is there to enjoy books than by finding connections between your very favorite ones? If you are itching to get some (re)reading done, here is a brief list of must-read books that are commonly assigned in high school. Each comes with a corresponding YA book that might strike your fancy if you liked the first! If you enjoyed Pride and Prejudice by Jane Austen, you might also like Anna and the French Kiss by Stephanie Perkins. Did you like Brave New World by Aldous Huxley? If so, take a quick look at Cinder by Marissa Meyer. If you like The Great Gatsby by F. Scott Fitzgerald, check out one modern retelling in Great by Sara Benincasa. If you still like The Great Gatsby, you might be intrigued by The Clay Lion by Amalie Jahnâ€” because who says you can’t repeat the past? If you’re itching to find a new copy of A Tale of Two Cities by Charles Dickens, you should also get The Infernal Devices trilogy by Cassandra Clare. If you’d rather read The Catcher in The Rye by J.D. Salinger, don’t forget to also pick up Looking for Alaska by John Green. If you really enjoyed The Diary of a Young Girl by Anne Frank, you might enjoy Between Shades of Gray by Ruta Sepetys. If you never got to read The Outsiders by S.E. Hinton and are thinking of getting it now, also try Miracle’s Boys by Jacqueline Woodson. If you’re obsessed with 1984, try Incarceron by Catherine Fisher. And if you fell in love with Romeo and Juliet by William Shakespeare, you might just like Eleanor and Park by Rainbow Rowell. A book assigned by your teacher might not seem like a fun weekend activity, but it might get you interested in things that you never knew about. You might have to stay up until 2 A.M. to catch the movie version of it, or you might become a better reader. It might change your perspective about other books, or about life, or it might actually be fun to read. Of course, even if none of these things are remotely true, at least you can say you polished off yet another one of the great American classics! There’s always a chance that you might need to discuss it at a dinner party someday. Do you have any fond/traumatizing/significant memories with school-assigned books? Leave a comment below! Thien-Kim loves fiction (especially dystopian novels and short stories) and is a big fan of The Hub! Her non-writing hobbies include talking about writing, eating ice cream bars, reading, and discussing TV shows. I agree that some of the classics may not be as pleasurable as some of the more popular titles, but there are titles that need to be read to be culturally literate in our society. The older books are more difficult to read because of the differences in the language, vocabulary, writing styles, etc. There are quite a few books that I had to read in high school and/or college that I didn’t like at all, but that doesn’t mean that someone else wouldn’t like it. I think it’s really good to read both books you recommended (classic & current) to compare/contrast.